This may go down as the single most ambitious menu Chef Matt has ever made (and certainly the most courses). Each circle will be served tapas style. 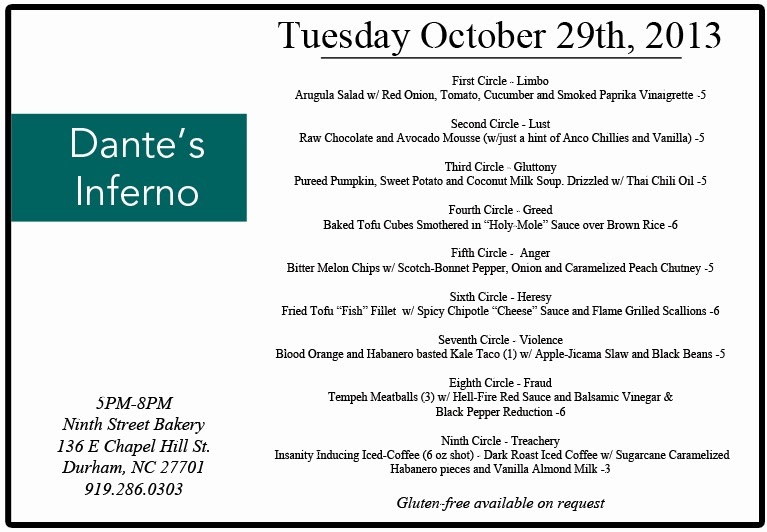 This menu was inspired by Matt's love of heat -- he has been known to go through a bottle of Sriracha sauce in a week. Highly recommended.